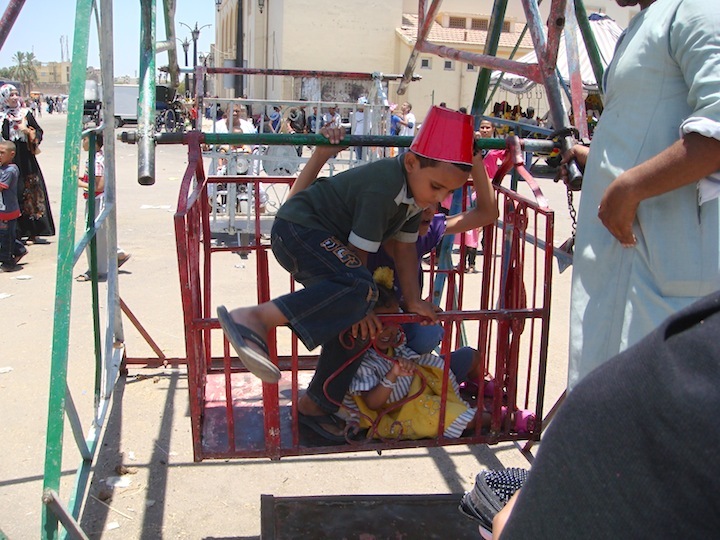 As always, this was a fantastic annual event. 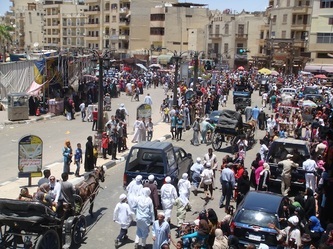 Although times are indeed hard for all peoples of Egypt, this occasion brings together an amazing crowd. 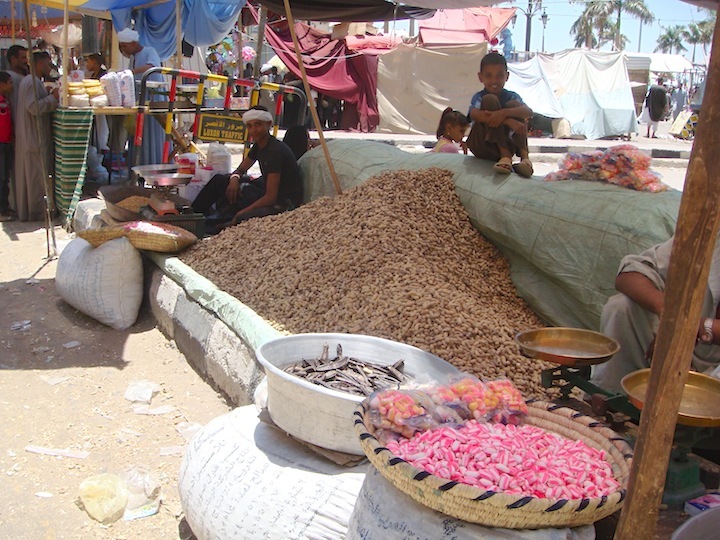 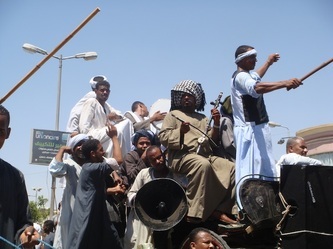 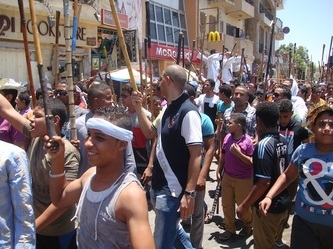 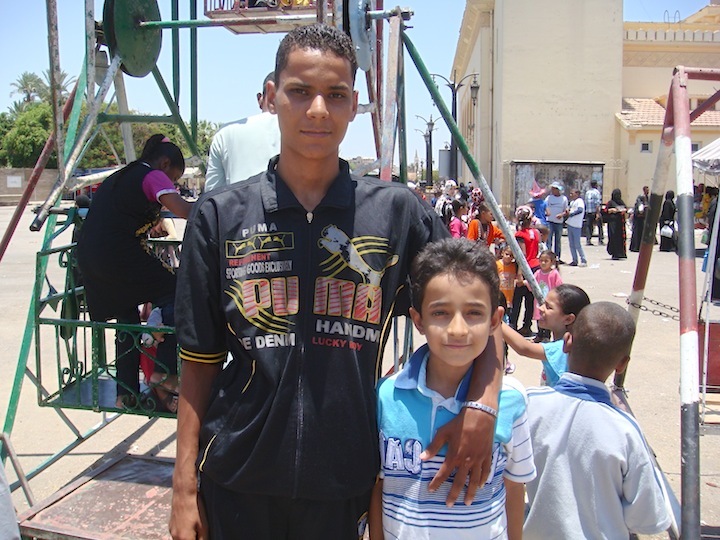 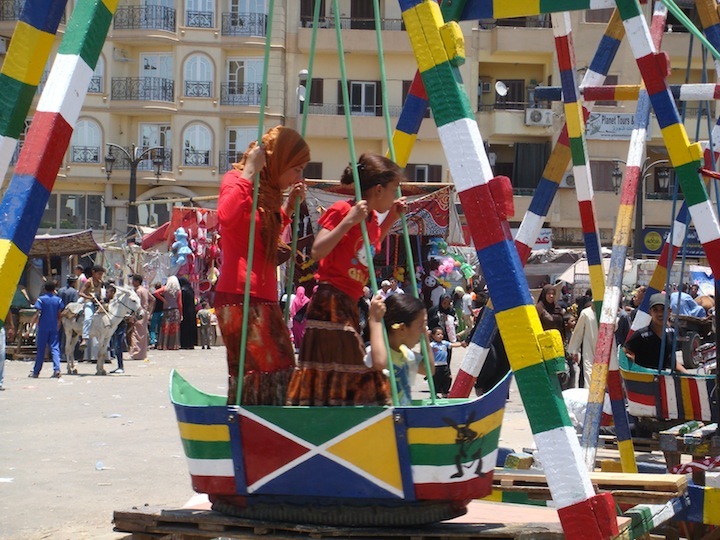 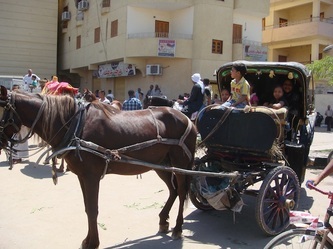 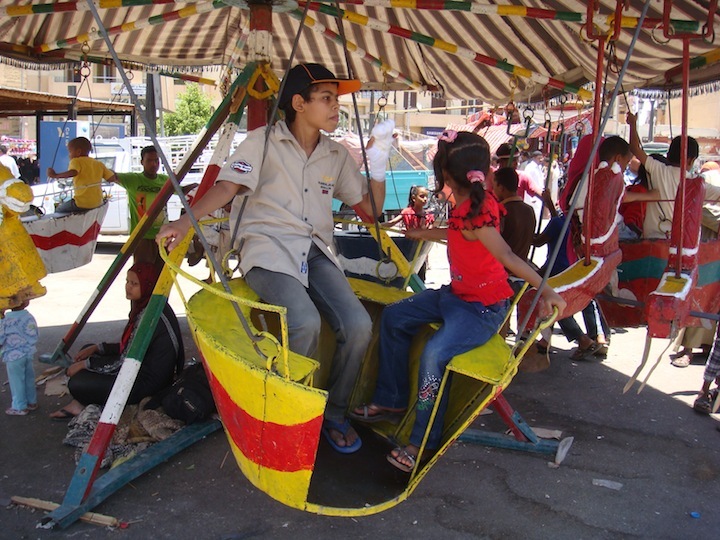 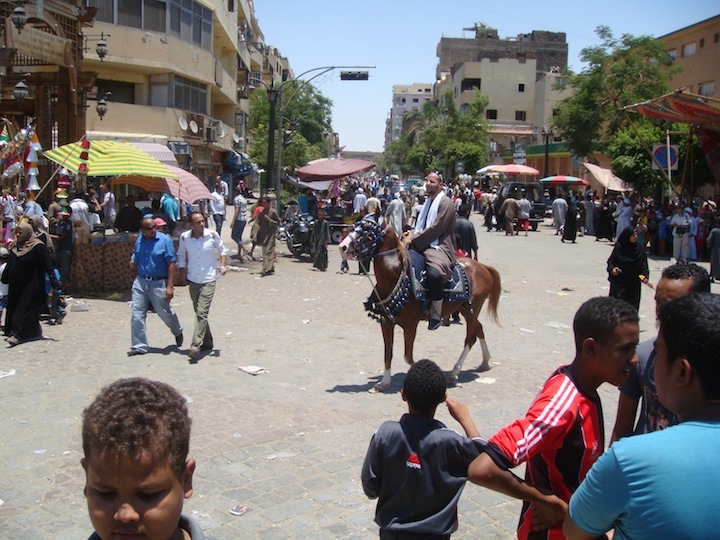 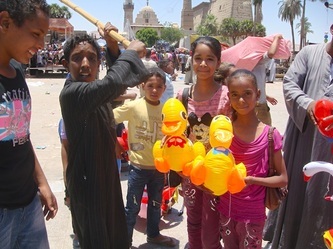 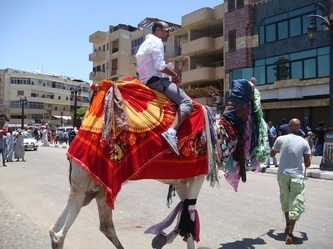 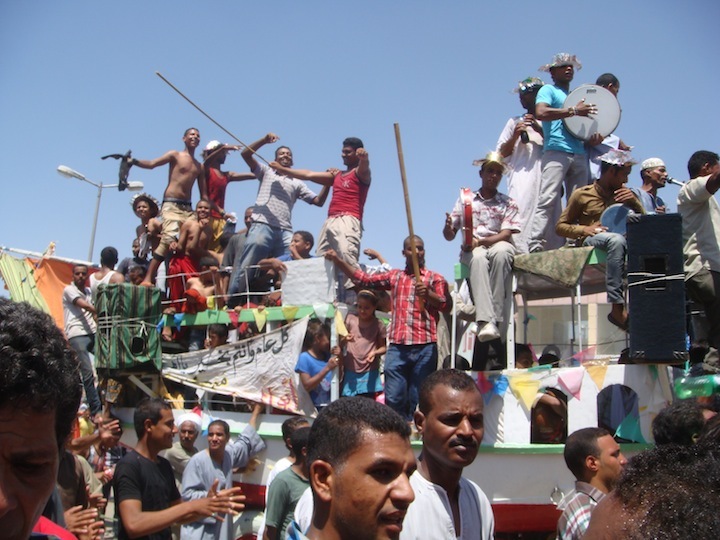 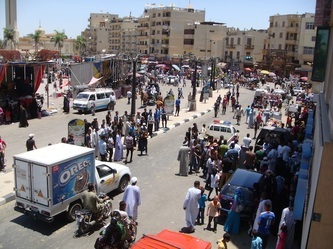 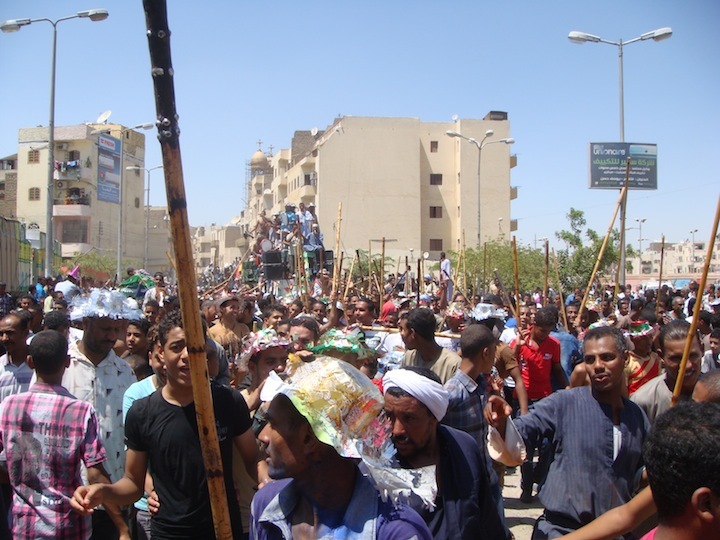 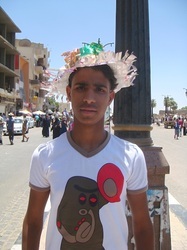 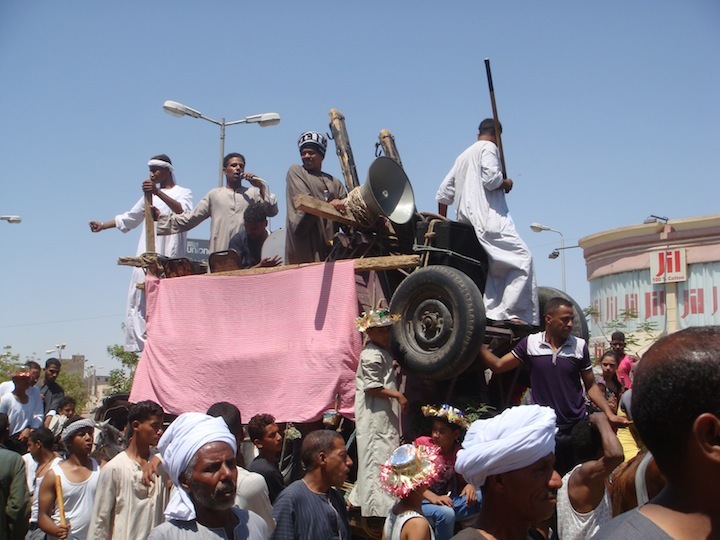 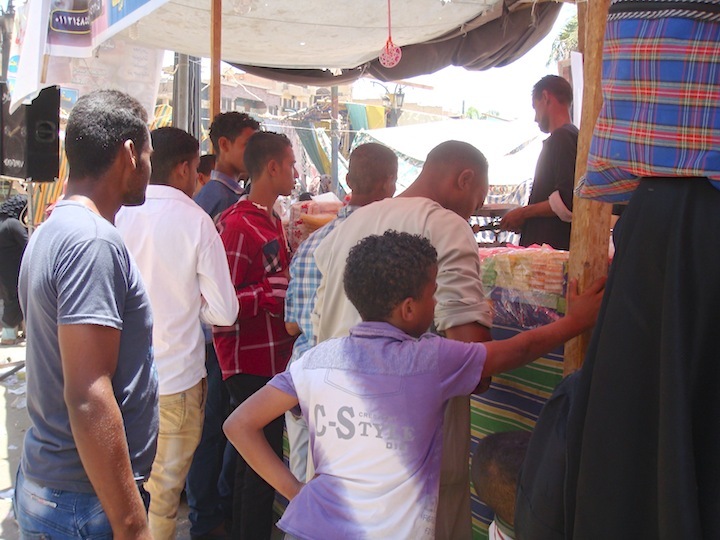 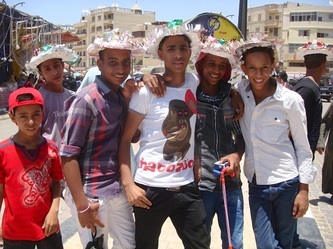 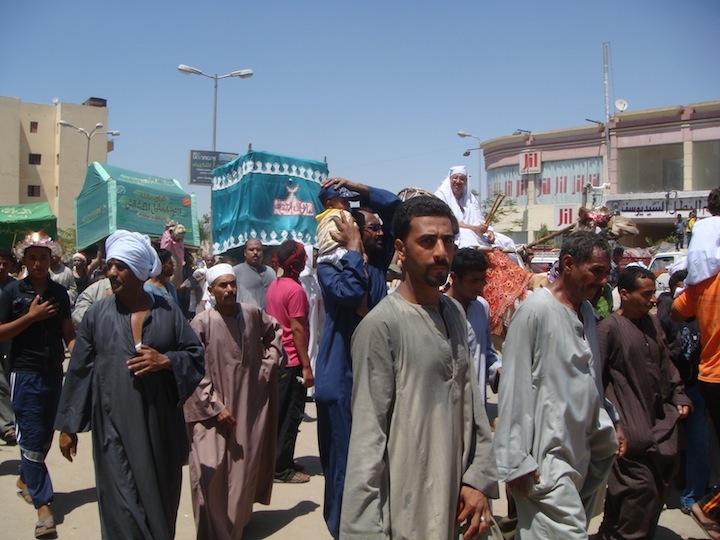 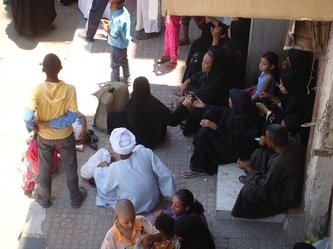 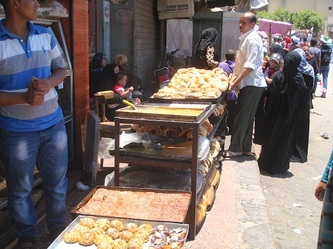 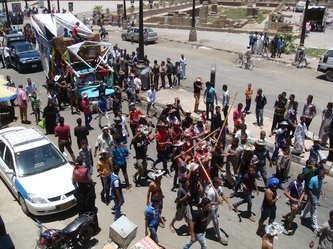 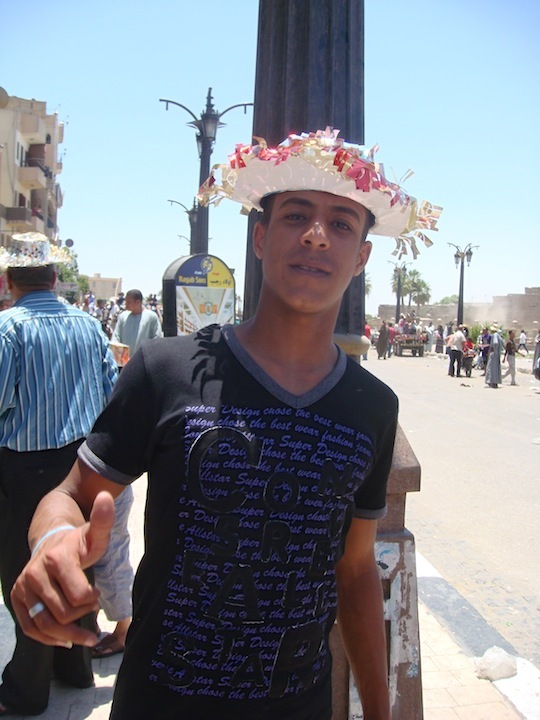 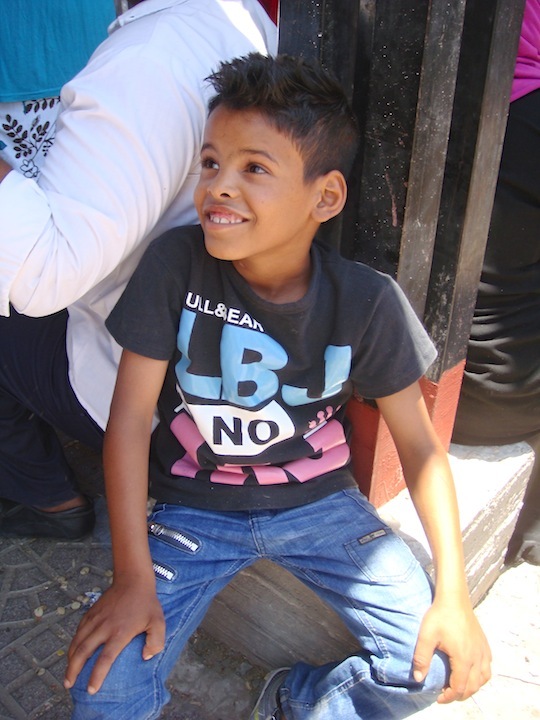 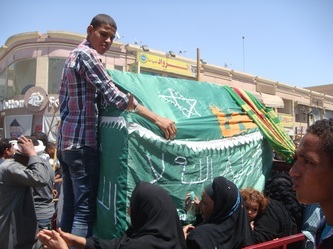 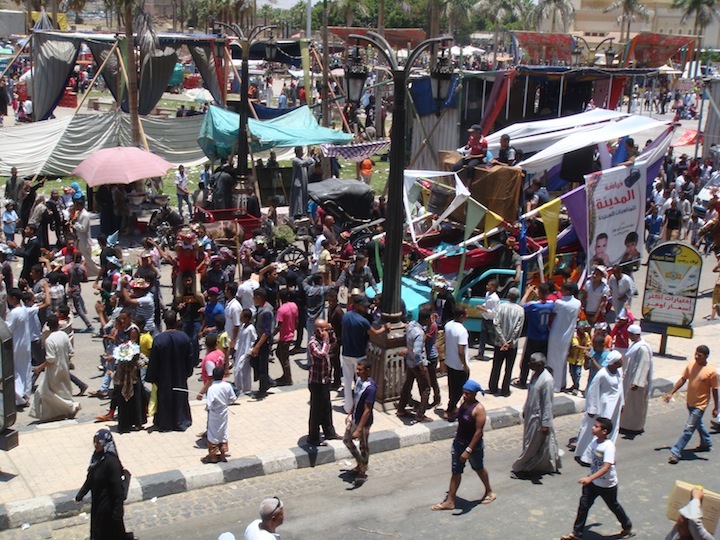 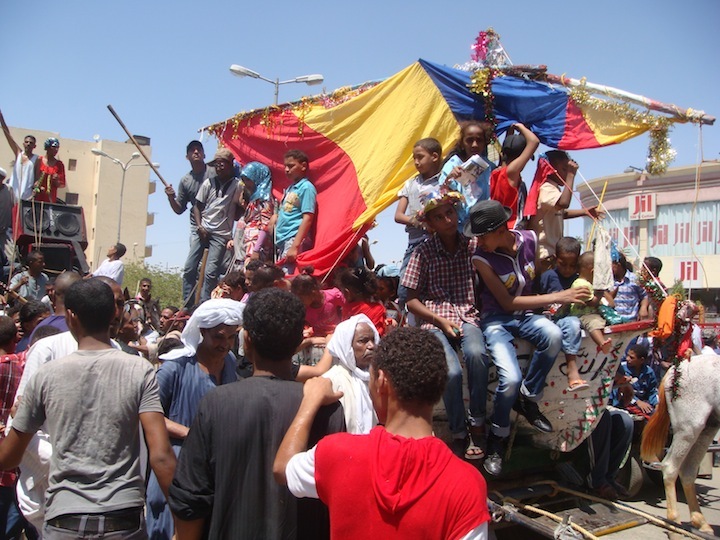 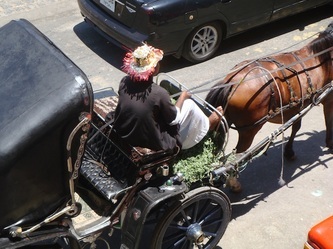 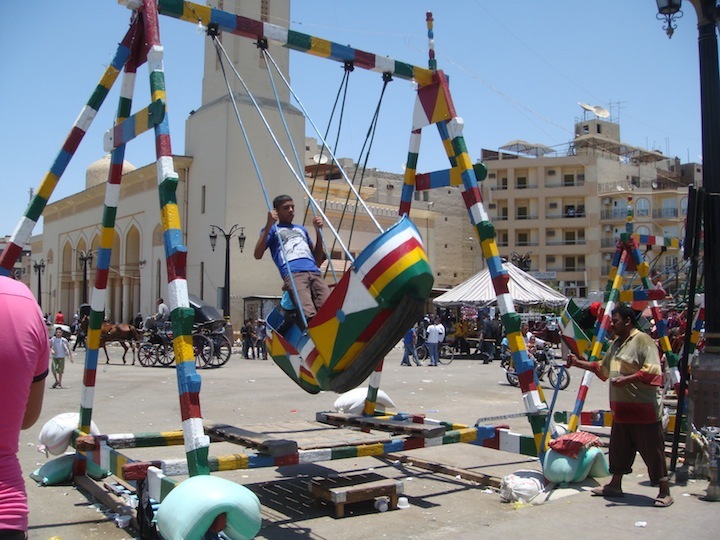 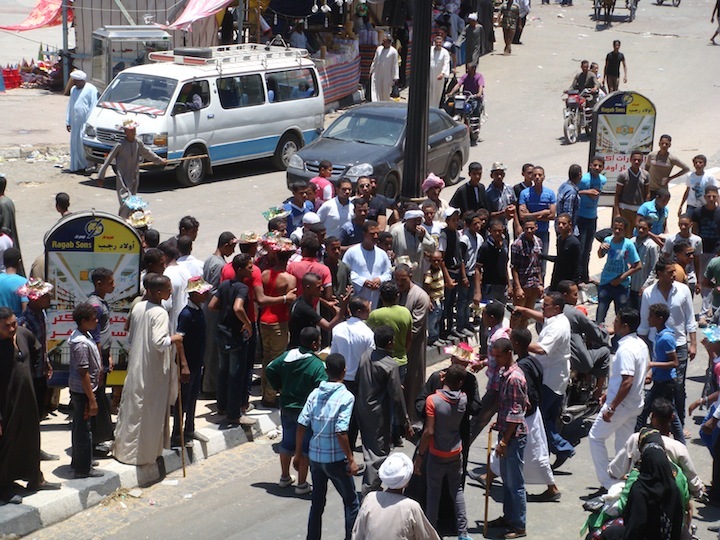 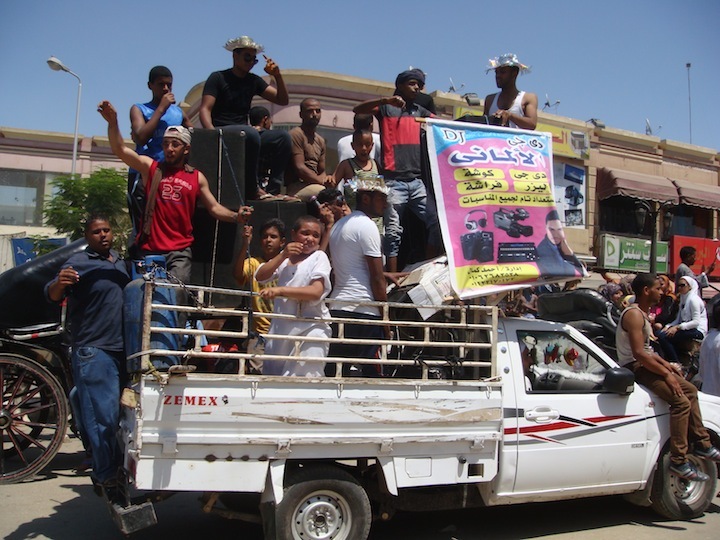 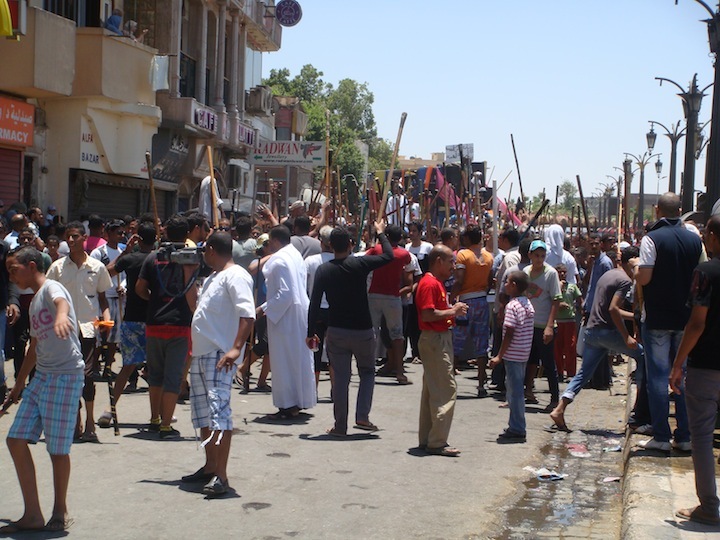 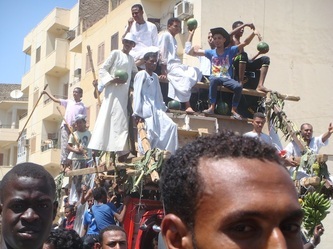 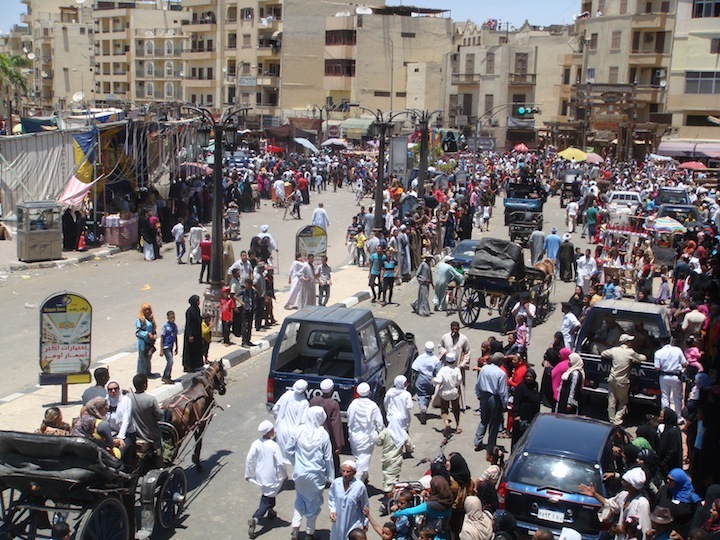 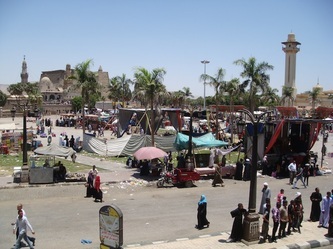 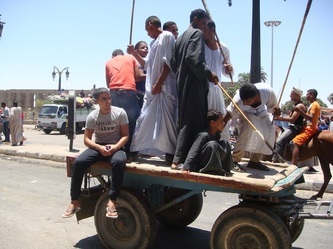 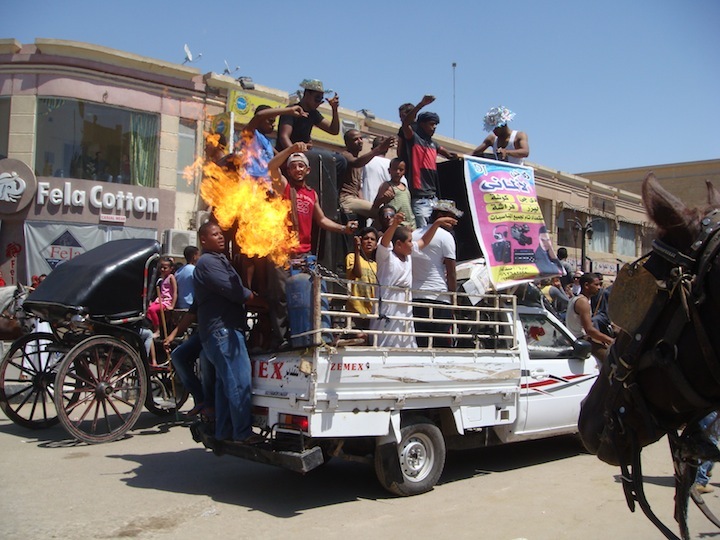 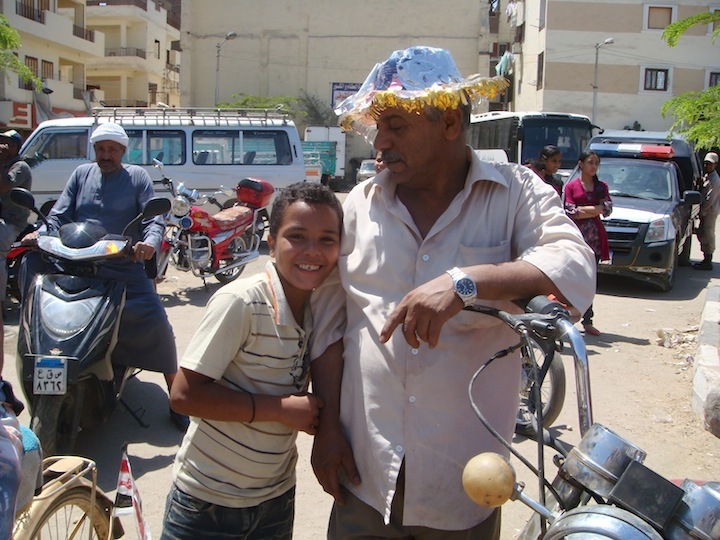 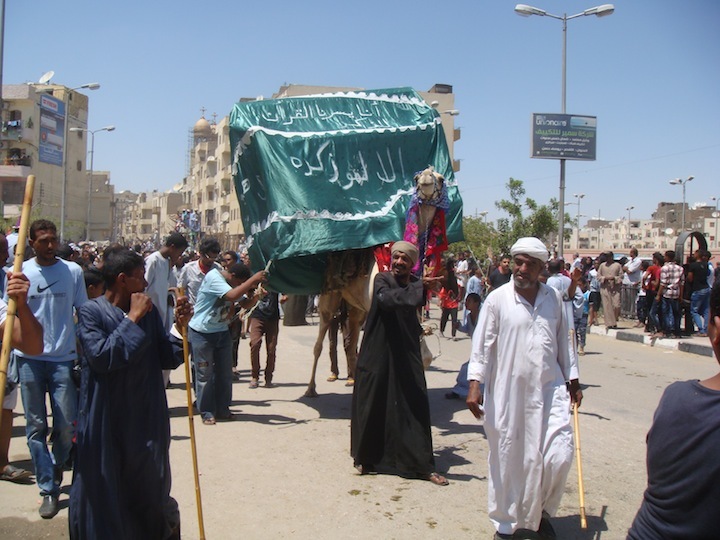 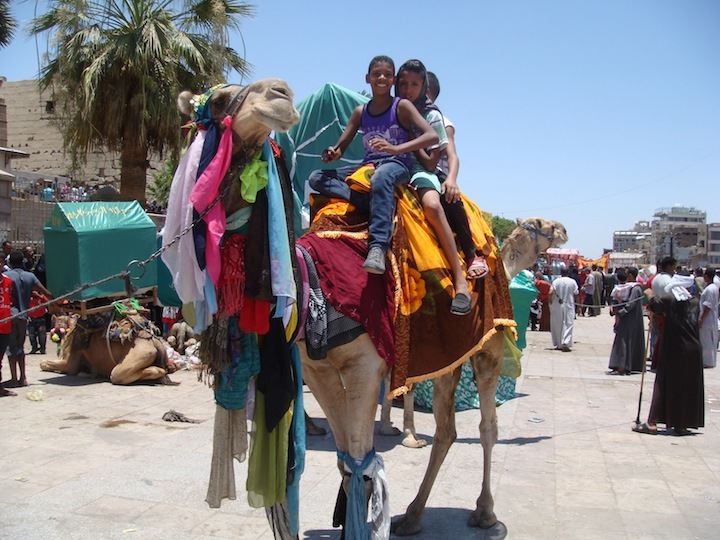 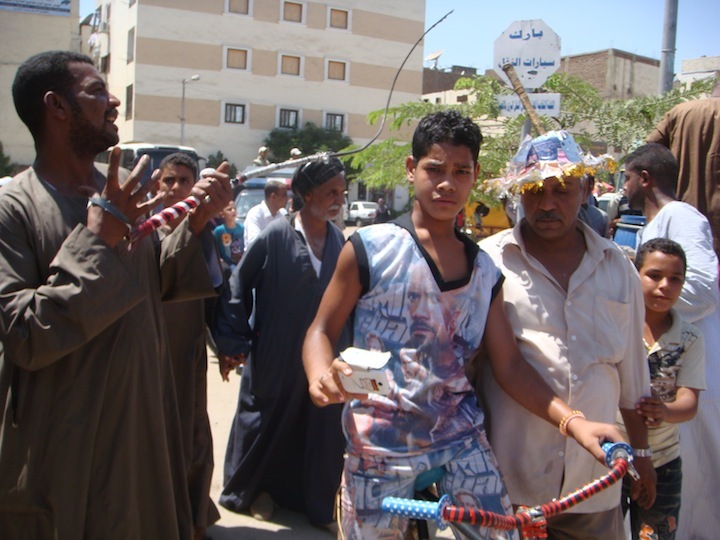 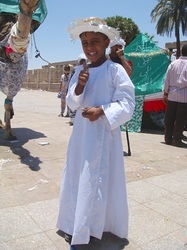 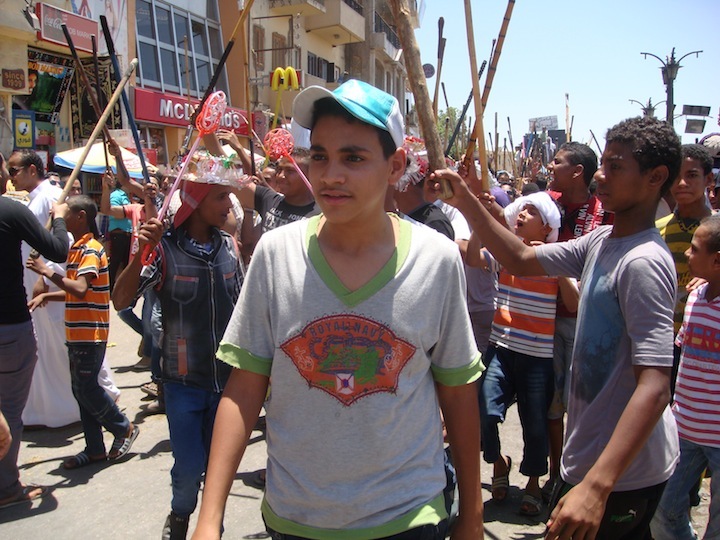 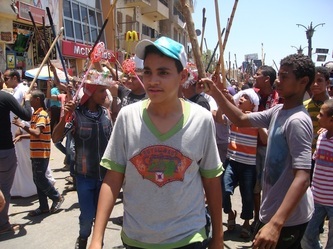 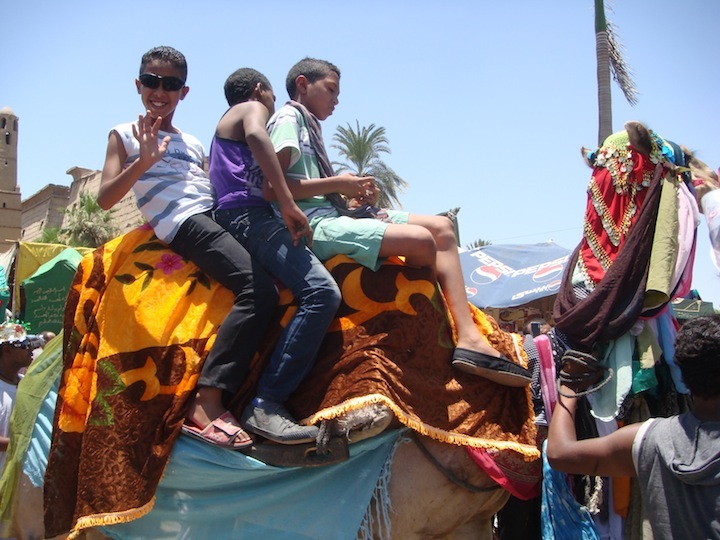 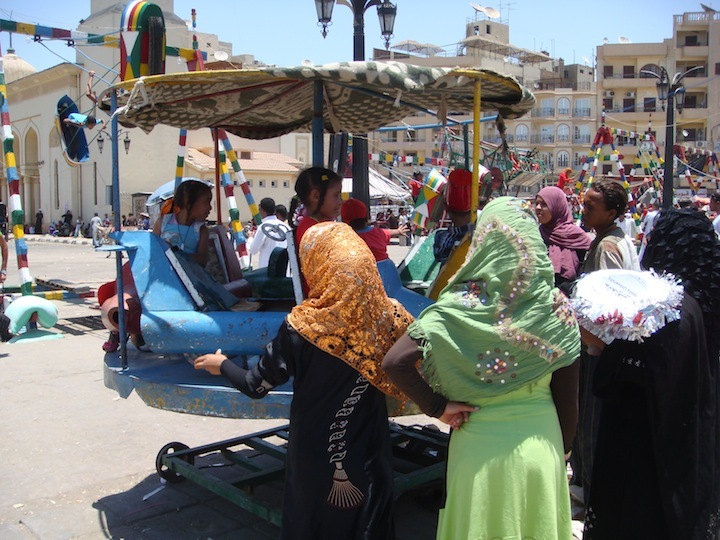 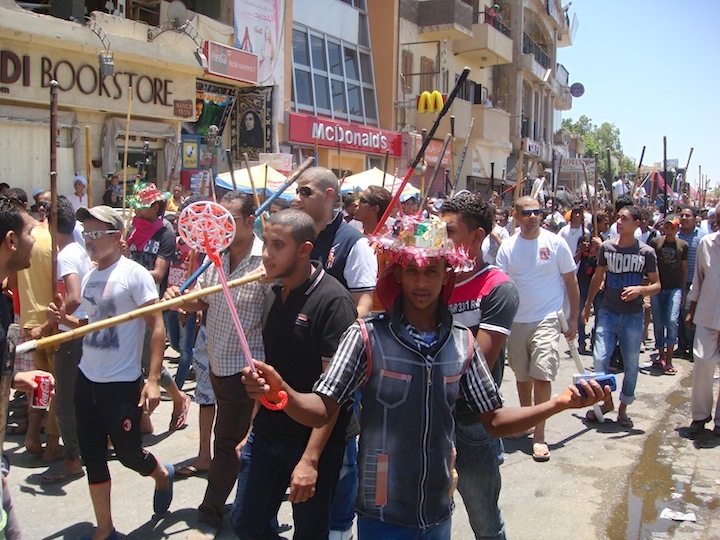 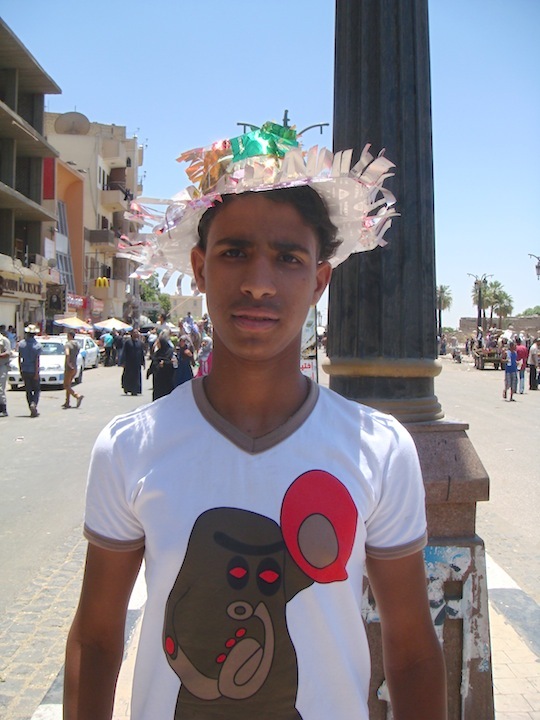 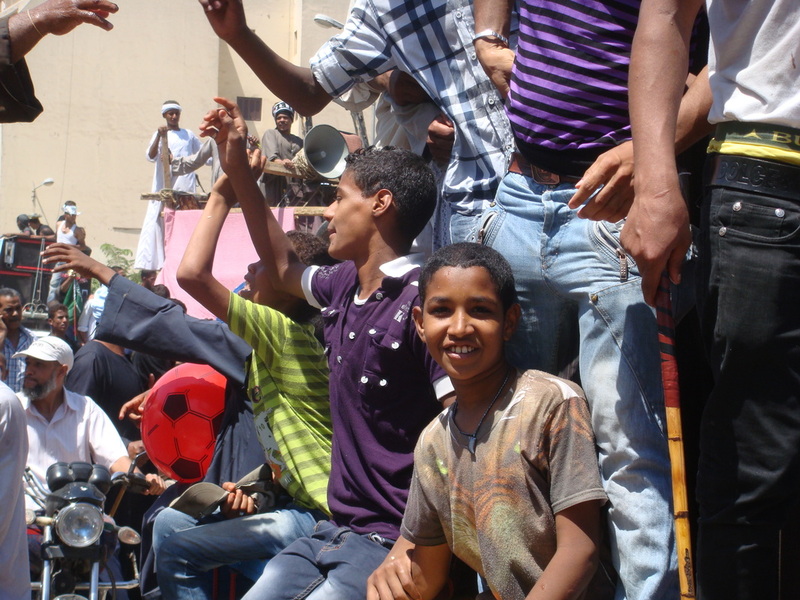 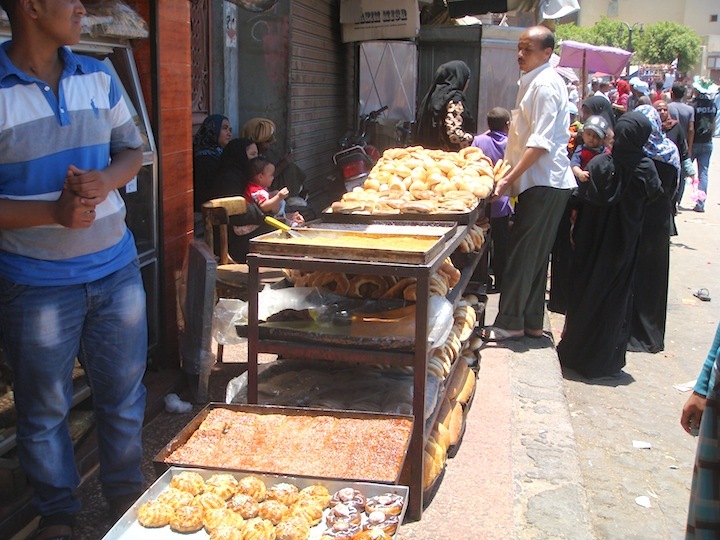 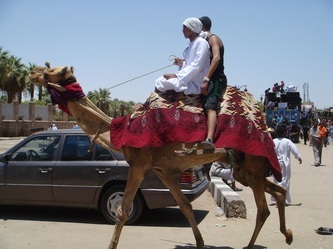 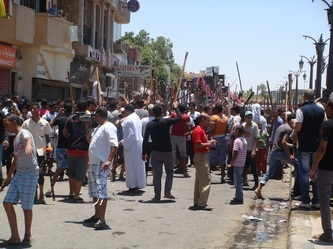 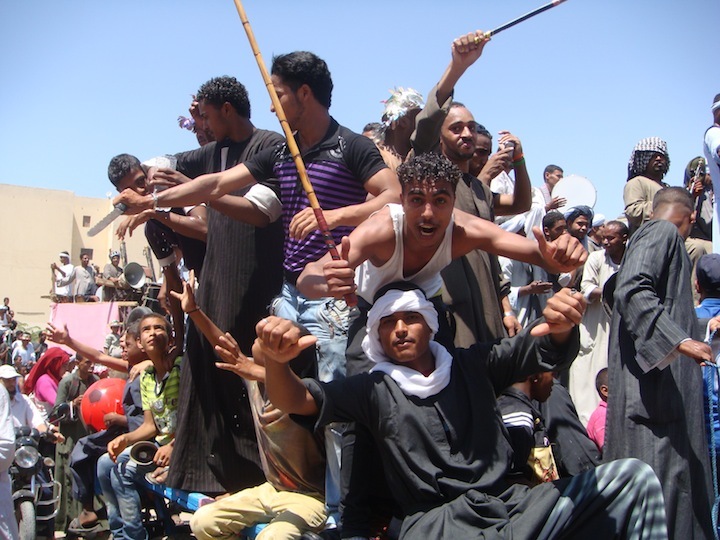 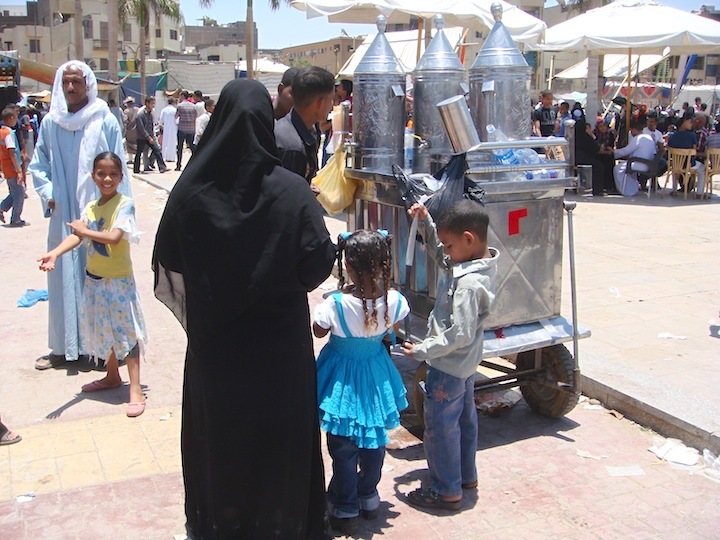 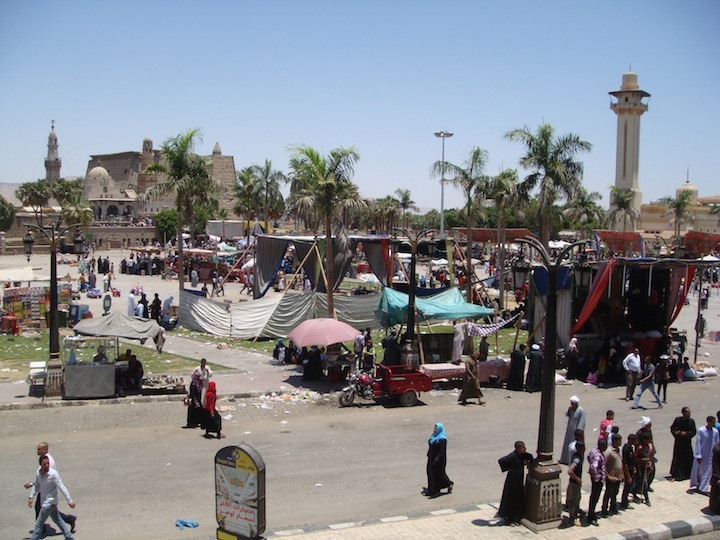 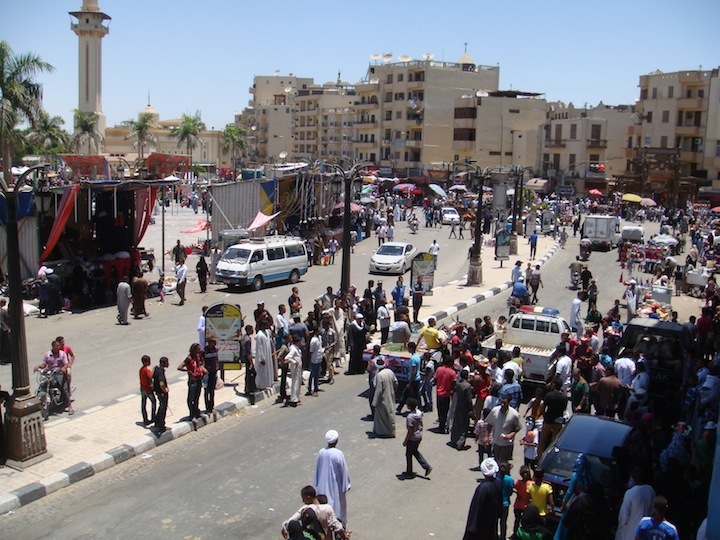 Locals and peoples from around the nearby areas converge on and around Abu el Haggag Square. 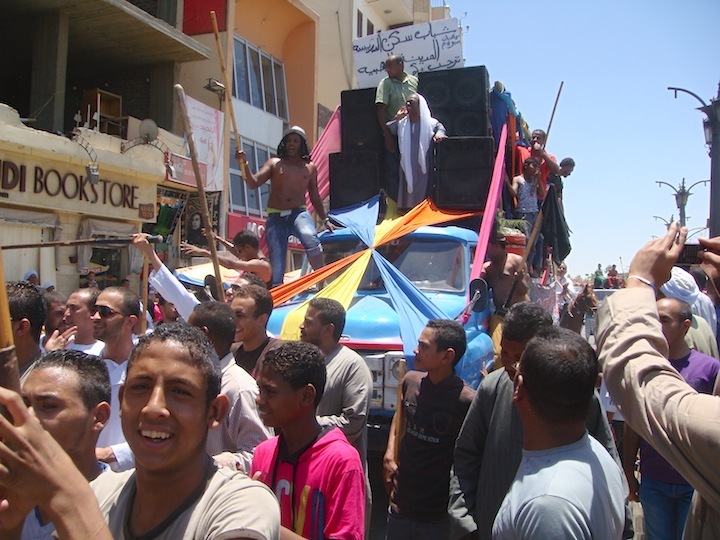 There is a jubilant atmosphere where the people have the biggest smiles, they dance and sing. 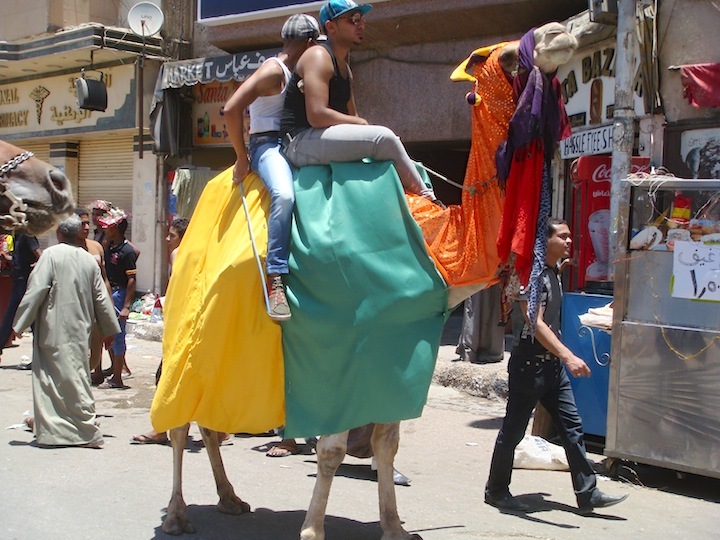 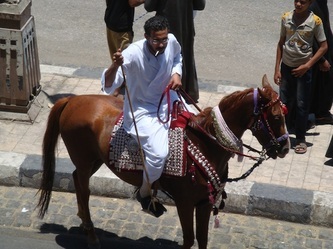 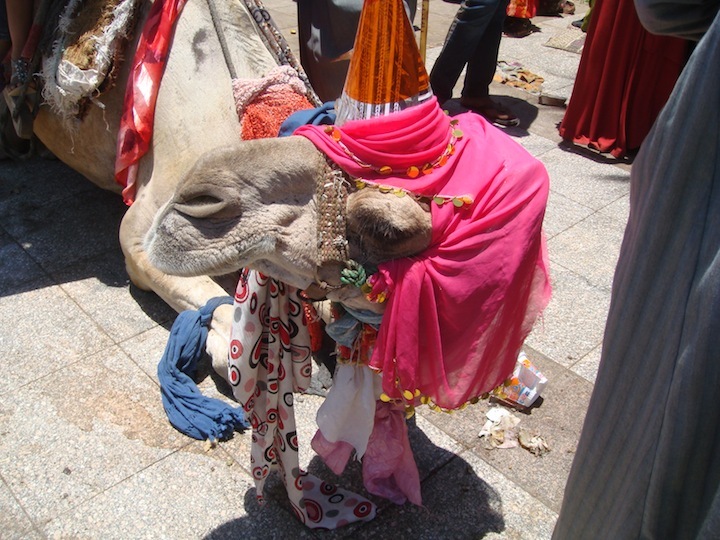 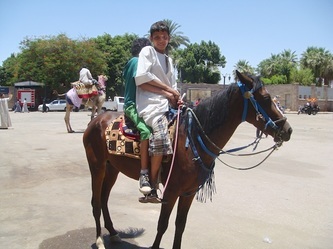 There are horses and camels dressed up with wonderful colours. 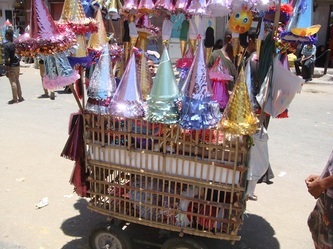 There are vehicles loaded high with people singing and chanting and many walkers leading the parade through the streets waving their sticks. 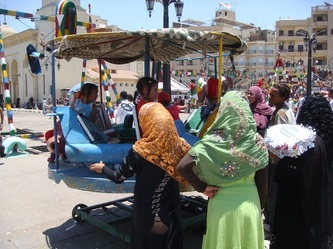 I find the atmosphere quite moving and it warms the heart to see so many people having a great time. Well-done Luxor people. 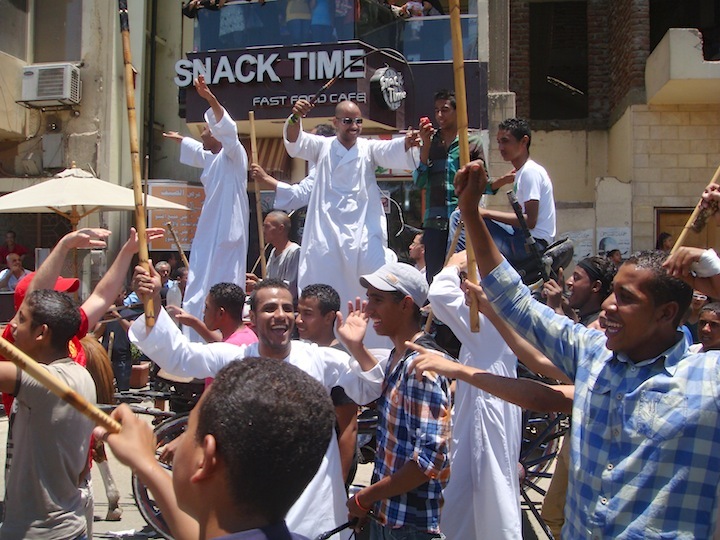 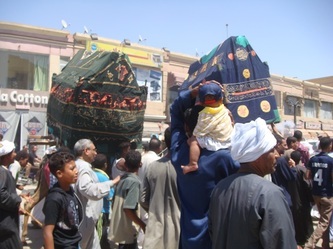 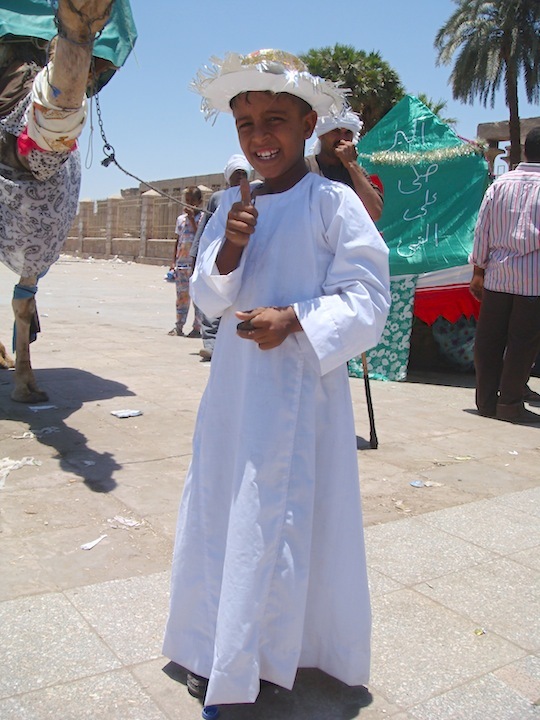 The Moulid of Abu el Haggag is an annual event in Luxor and probably the highlight of its festival calendar as it is celebrated by all Luxor residents regardless of their faith or their age. 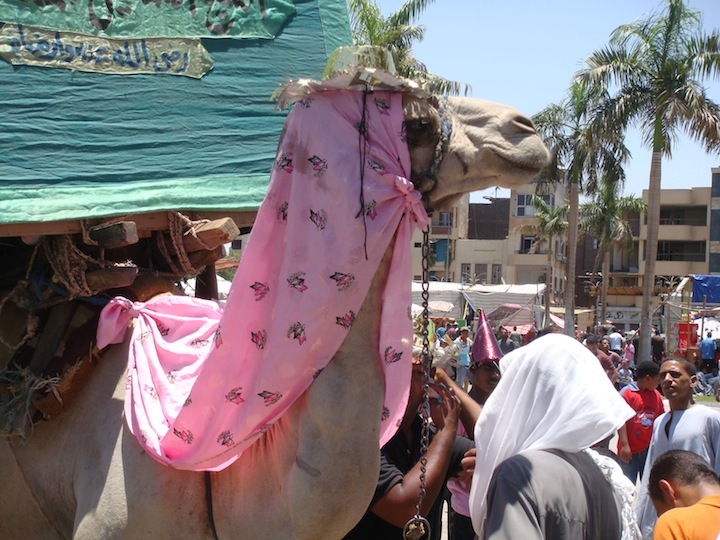 This particular moulid is a fantastic way of linking the past and the present. Youseff el Haggag (known as Abu el Haggag) was an Islamic cleric who was born in Damascus in the mid twelfth century. 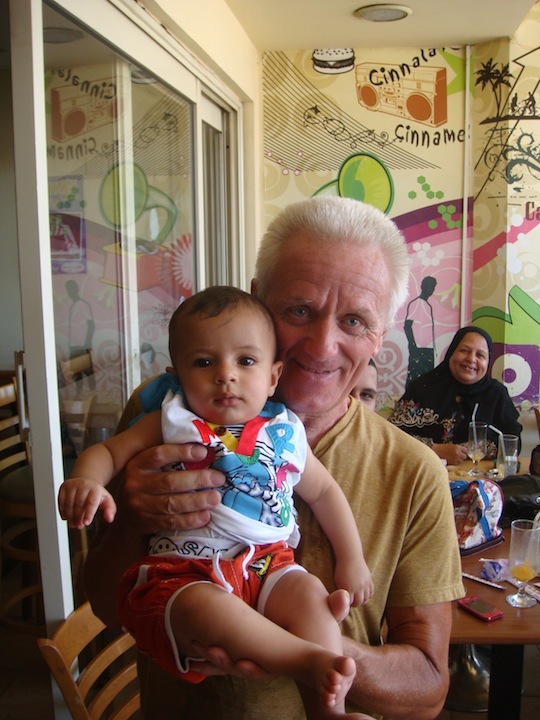 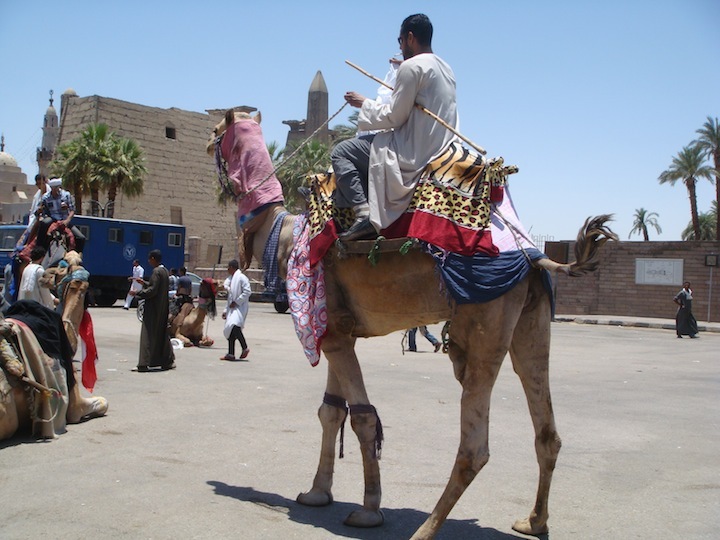 He later moved to Mecca before eventually settling in Luxor where he is revered as Luxor’s patron Sheikh. The oldest mosque in Luxor, which is inside Luxor Temple, bears his name and marks his final resting place. 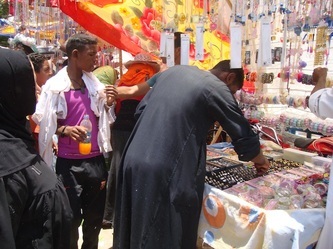 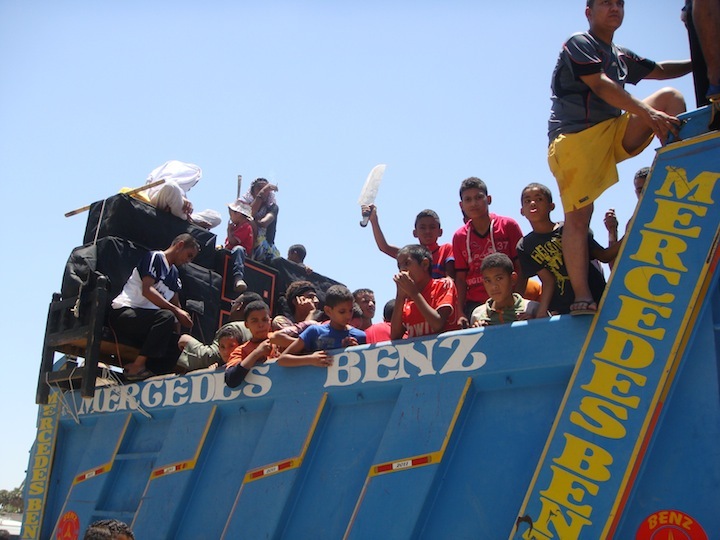 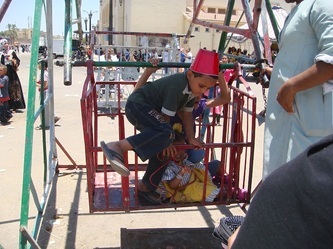 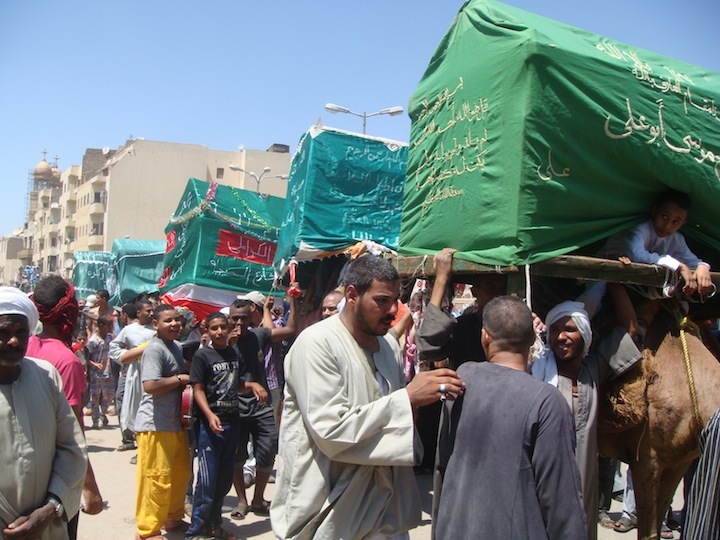 The moulid lasts two days it takes place annually in the month of Shaaban two weeks before the start of Ramadan and its date is moveable as Ramadan moves forward twelve days each year. 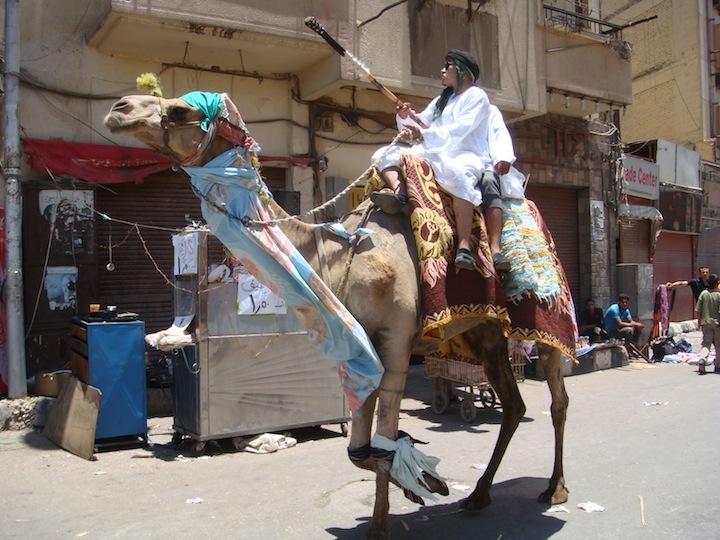 Although the festival bears the name of an Islamic Sheikh its roots are based in the Opet fertility ceremonies of Egypt’s distant past and it is probably as colourful now as it was then. 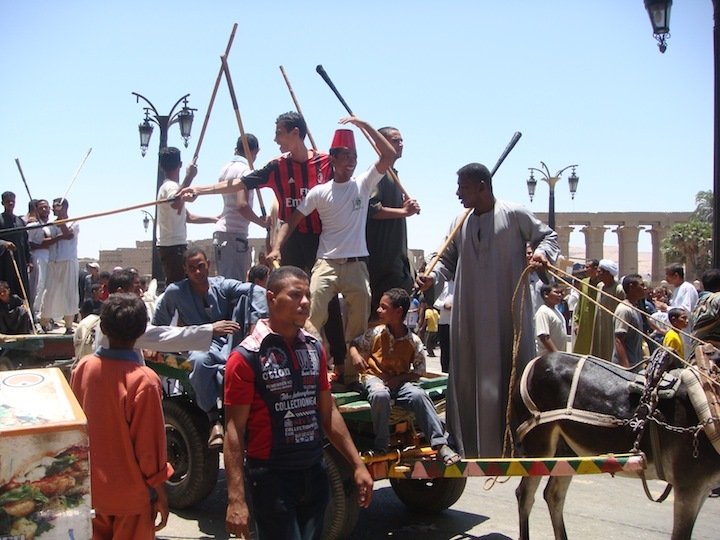 During the festival there is music and dancing with sticks, and an exuberant parade through the streets which represents the journey priests made to bring the celestial barques of Amun, Mut and Khonsu annually from Karnak Temple to Luxor Temple. 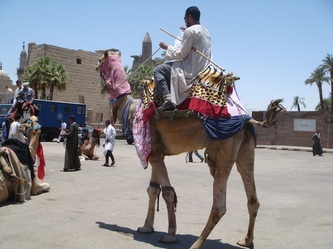 Three thousand years ago the barques were ferried along the canal which joined the two temples but later, when the canal silted up, they were carried along the Avenue of Sphinxes part of which is now in the process of restoration (2008). 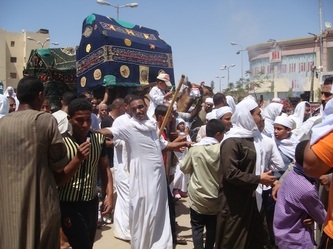 It is also interpreted as a spiritual journey. 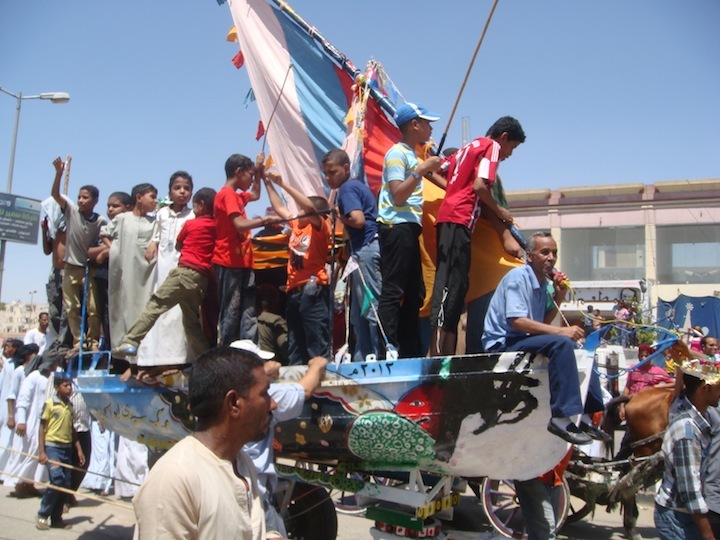 Many of the floats of the present day parade are of a boat shape to represent the ancient barques but now instead of carrying the image of a god, the boats are crewed by excited adults and children to the sound of booming music and loud cheers. 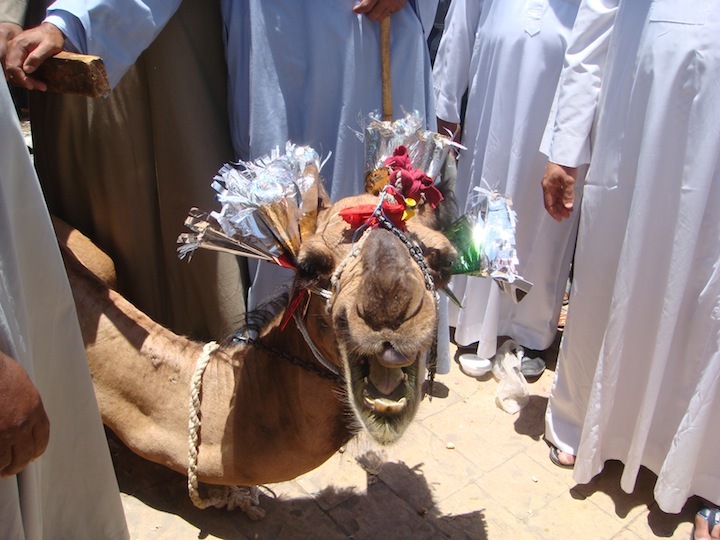 Camels are dressed in their finest rigging and join the floats. 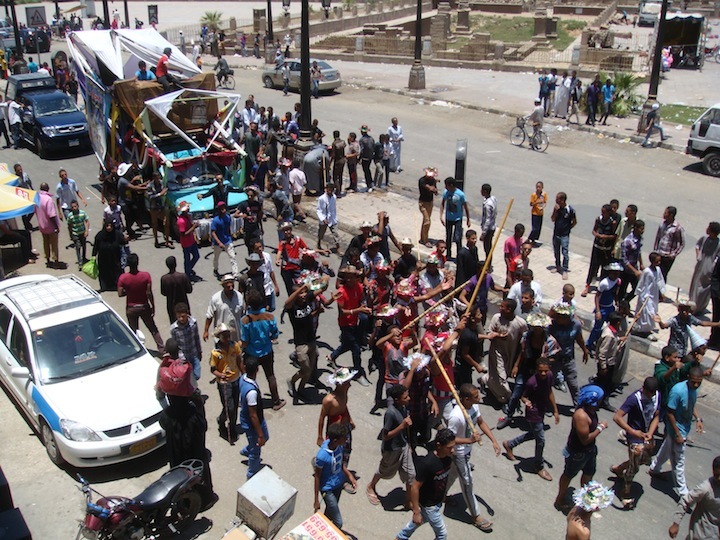 The parade starts at Luxor Temple and winds its way through Luxor’s main streets where crowds gather to watch and join in the fun. 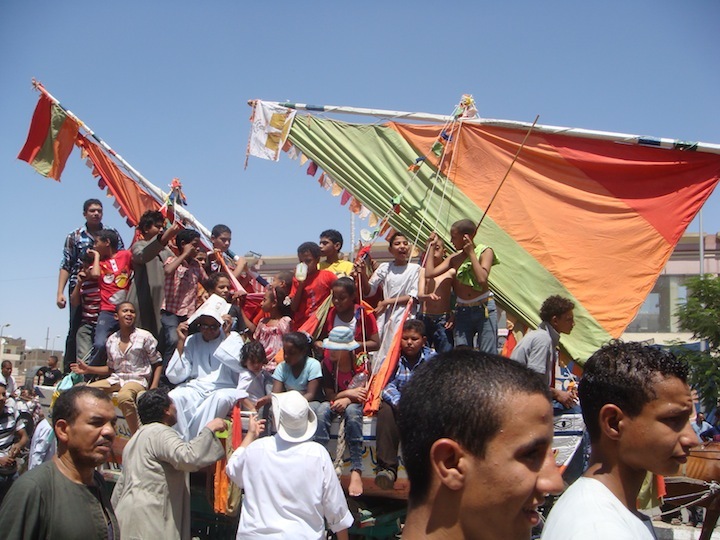 People come into town from the outlying villages on both sides of the river and the crowds start gathering early in the morning so that the best viewing places can be found: many bring food with them so that the whole family can enjoy the entire day of festivities.